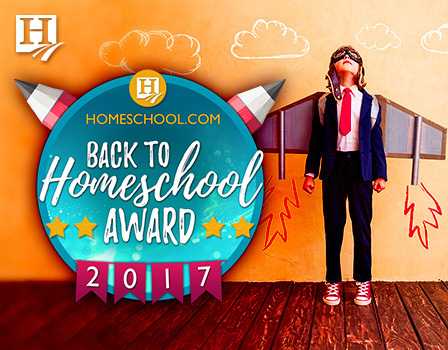 2017 Back To Homeschool Awards! 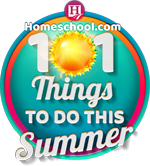 As homeschoolers, we’re always looking for super curriculum, great courses, supplemental material, and more – especially during the Back to Homeschool season. Having a little advice/input always helps. 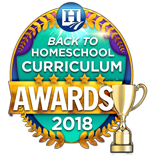 So, Homeschool.com staffers researched different homeschooling products, curriculum, and websites, to come up with our Back to Homeschool Awards list. 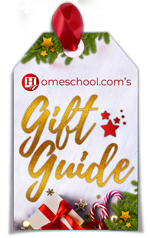 Top Back to Homeschool Resources of 2017! Thank you to Time4Learning for sponsoring this list. Time4Learning’s online, award-winning, comprehensive, PreK-12th Grade curriculum has helped homeschool families for over a decade. Time4Learning provides an online learning system that teaches, reinforces concepts, tracks progress, and provides printable reports. In addition to language arts, math, science, and social studies, members have the option to choose from several educational add-ons, such as foreign language. 2B Totally Literate offers students over two dozen products. The following are some of the interactive ones: The Red Well-Read Reader, which has 361 rhyming stories, teaches young scholars how to grasp both straight forward and subtle meaning; 4 workbooks that build a prodigious vocabulary; and 10 anti-illiteracy games that develop a myriad of literacy skills. To hear an animated presentation of all the products, click here. To interact with some samples, click here. And to visit their book store and make a purchase click here. Learn, laugh and have fun along the way! 4Knowledge-4Fun offers a variety of educational materials and toys selected for newborns through age 14, including workbooks, flashcards, DVDs and games. You can check out their award winners, back to (home) school items, made in the USA toys, sale items, wooden toys, and MORE! 7 Generation Games makes immersive video game and interactive apps that teach standards-aligned math, while incorporating social studies and language arts – with supplemental teacher resources. New for 2017-18: Bilingual math games in English/Spanish! The ABCmouse learning program, for ages 2-8, helps kids learn to read through phonics, and teaches lessons in math, social studies, art, music, and much more. With more than 8,500 individual learning activities and 850+ complete lessons which follow their Step-by-Step Learning Path, ABCmouse encompasses reading and language arts, math, science, health, social studies, art, and music. ABCmouse is available to families on a low-cost subscription basis for use on computers, tablets, or smartphones. You can get 2 months for only $5! Aceable is the new standard for state-approved and certified drivers ed courses via mobile app and web courses, transforming boring lectures into fast-paced, interactive content. Their courses include parent tools that allow parents to be involved and even lead the learning process. The mission of the Adventures of Rush Revere Series is to tell American history in a way that will engage young readers. Instead of just memorizing facts, the readers are part of the action by time-traveling to key events, such as the Mayflower Voyage, Paul Revere’s Ride, or the Boston Tea Party. They can truly ‘experience’ history in a fun, exciting, and patriotic way. Use Arcademics.com’s FREE multiplayer educational games to engage your kids in math and language practice. Students can race each other in real time, and parents can view live performance data through Arcademics Plus – www.arcademics.com/plus. Serving homeschoolers for 29 years. Bechtel Books provides Speedy Spanish – conversational Spanish for pre-school, elementary, and high school students, as well as a high-school Christian Ethics curriculum – a devotional Bible study from the book of Proverbs. They also offer supplementary materials from trusted Christian curriculum publishers. Check out their coloring books, posters, teacher’s aids for bulletin boards and devotionals and MORE! The Bible Study Guide is a Bible curriculum that takes all ages through the Bible at the same time, studying some Old Testament and some New Testament each year. Students learn the “big picture” as well as detailed knowledge of the Bible. Best of all, they learn how to apply the Bible to their everyday lives. To see an intro to the Bible Study Guide For All Ages click here. Developed by a Mom – for her kids and for yours. Breaking the Barrier is a global leader in print and digital language learning. Featuring Spanish, French and English, the series provides learners with a solid understanding of language fundamentals along with cultural insights from around the world. The program works great in homeschool situations. Both print curriculum and iBooks are available. Buncee is a creation tool designed to help students easily visualize and communicate what they are learning. Their technology uses a simple drag-and-drop interface that allows users to easily integrate media to create engaging communications. Your kids will love Buncee. CHSH-Teach.com (Christian Home School Hub) is an affordable option designed to make your homeschooling journey easier and affordable. It is brimming with resources (PreK-12) and will save you time and sanity! The site offers FREEBIES, a Download Club, a Membership option and more. This site was created by a homeschool Mom. Jack, the fully programmable robot mouse, is ready to follow commands to teach hands-on coding concepts. Create a step-by-step path for Jack using the 30 double-sided coding cards to provide the perfect introduction to coding concepts. Jack lights up, makes sounds, and features 2 speeds and colorful buttons to match coding cards for easy programming and sequencing. Set includes Activity Guide. Jack can also be used with the STEM Robot Mouse Coding Activity Set (LER 2831) for more play options, learning opportunities, and fun! Jack measures 4″L and requires 3 AAA batteries (not included). You can incorporate God’s Word into every area of your children’s learning with Bibles, Bible story books, catechisms, family devotionals, Arch Books and more. Start off the school year with Bible overview curriculum for preschool through 8th grade. ABC Book Homeschool interactive mobile Apps are expertly built, teacher-tested, interactive applications that have a proven track record for helping kids learn how to write and read in a creative and engaging way. You will get from us: application, standards correlations, pacing guides, personal training webinar, on-demand support & all the updates during your subscription. Try our 30 days FREE demo. Kids can experiment with Crayola colors and three delicious scents – cherry, blueberry, and pineapple – to make 16 custom, scented markers. Using the included blank stickers, kids can also create custom scratch and sniff sticker labels to decorate the marker barrels, folders, school projects and more. So much fun for the coming year! Looking for a great science elective? Learn physics while enjoying aviation! Course also serves as a history elective as the important people and events of aviation are chronicled. Course can be an aid to those seeking aviation badges in Scouts or American Heritage girls. Watch the 3 minute video on the homepage – it tells all you need to know about this fast paced course that teenagers love. Easy Grammar Systems publishes an award-winning grammar series specializing in the prepositional approach. Concepts are taught in a building-block manner and incorporate a cyclical approach that promotes mastery learning. Check out 1) the Easy Grammar series, 2) the Daily GRAMS series, and 3) the Easy Grammar Ultimate Series – all are perfect for homeschooling. Engaging worksheets, hands-on learning lesson plans, interactive online programs and more, all at up to 90% off! Shop their back to school/back to homeschool sale – shop by grade, or by subject. Also, Educents offers lots of FREEBIES! Enlightium Academy is one of the largest, top-rated, K-12 online Christian schools. Enlightium focuses on delivering high-quality education and quick responses via technology-powered solutions and unlimited phone, messaging, and screen-share support. Various tuition options are available. Epic! 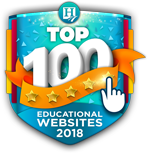 is an essential homeschool learning resource for kids – with access to 25,000 high-quality books, videos, quizzes and more! Includes fiction, nonfiction, audiobook, and Spanish titles from National Geographic, Smithsonian and more. Eyeball It! ™ provides a series of FREE studio art projects (painting, drawing, sculpture, collage) for elementary school-age children to do at home with a parent or other interested adult (the projects give parents/adults the opportunity to generate art experiences themselves without having to be artists). Each project requires several work sessions, providing roughly a month’s worth of activity. Fitivities is the award-winning game that is a burst of fun and fitness and every parent’s hidden exercise secret in a game’s disguise! It’s the perfect activity for brain breaks, rainy days, or whenever your children need a quick “energizer” during the day to get them back on the learning track. You can Order Your Game Today! IQsha is an educational website helping children ages 2-11 study and develop. Through fun quizzes and games, children have the opportunity to learn everything from math and environment enrichment to logic development, attention, and memory. Once registered, a child can choose to complete up to 10 free tasks a day. Each task comes complete with a voice over, so children can easily practice with no help from adults. Progress is encouraged with cool medals, trophies, and diplomas and parents can monitor their child’s development. IQsha is 100% safe for children, with no ads or external links. Sign up today and receive 7 days free trial of unlimited practice. Mand Labs KIT-1 is a very cool DIY (do-it-yourself) kit for Fun hands-on Learning in Electronics and Physics. An absolute breeze for starters, enthusiasts, educators and homeschoolers; and a true gift of inspiration for STEM lovers. MindPlay provides research– and evidence–based screening and differentiated lessons for dyslexic and struggling readers and other readers looking to increase fluency. A Universal Screener diagnoses each student and then provides a prescriptive, individualized lesson pathway which teaches and re-teaches lessons with fresh approaches until mastery is achieved. All the materials and guidance you need to enjoy successful homeschooling. Sonlight offers a complete Christian, literature-rich homeschool curriculum from preschool through high school. Save time, save money, build family relationships, and change the world. New for 2017: all-new 4-day programs, fully revised and updated Language Arts, and redesigned Instructor’s Guides. Why do children get so excited when they use Sonlight Curriculum? Check out all 19 Reasons Families Love Sonlight. Thinker Education is committed to offering free, world-class learning experiences to any student, anywhere—in an environment where free inquiry is encouraged and celebrated. Thinker content is curated with a focus on candid dialogue between thought leaders with different points of view. Completing courses on subjects like political correctness, market economics, American exceptionalism, evolutionism, the historicity of Christ, etc.—qualifies you for educational scholarships—with hundreds of thousands of dollars already awarded. Time4Writing offers 8-week online writing courses and a variety of free writing resources for 2nd-12th grade students. The student-paced courses include lessons and quizzes, and personalized feedback from certified teachers. From the basics of grammar to essay writing, Time4Writing is designed to help students master the art of writing at all levels. Courses are $119 each, and start daily. Your kids can design and engineer the tree house of their dreams with this one-of-a-kind building set. Use the included activity cards to complete engineering challenges. Build railings, platforms, trees, and then use your problem solving skills to re-engineer your design. Kids will love building their tree house—parents will love that they’re actually building critical thinking and STEM skills.